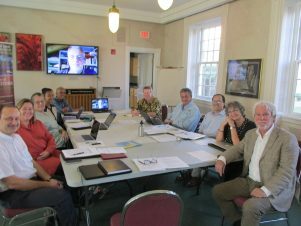 Charlottetown, PEI (September 10, 2018)— UPEI’s Institute of Island Studies and the UNESCO Chair in Island Studies and Sustainability hosted a weekend of meetings with representatives and researchers from a dozen islands around the world. This unprecedented gathering of scholars in the field of Island Studies is made possible by a Partnership Development Grant from the Social Sciences and Humanities Research Council of Canada (SSHRC). The project will build relationships between researchers and will fund up to twelve graduate students. Cyprus, St. Lucia and Grenada) and six representatives from non-sovereign, sub-national island jurisdictions (Prince Edward Island, Newfoundland, La Réunion, Lesbos, Guam and Tobago). These groups will compare experiences, to see whether statehood is a boon or hindrance when implementing sustainable practices in social-political, cultural-artistic, economic, and environmental areas.